"Why can't I just eat my waffle!" See the chart? Pretty encouraging, right? Considering that we're talking about Marijuana. 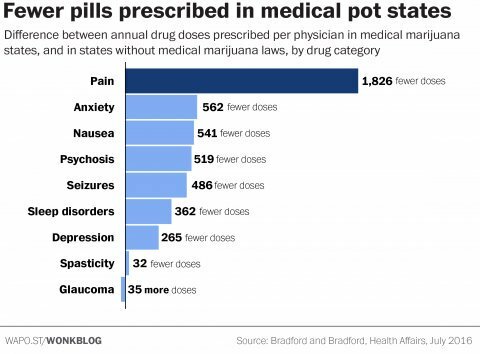 The people at Washington Post seem to believe that this chart could be one of the reasons why Pharma companies are fighting legalisation of Marijuana. Two days ago, Uber China merged with Didi Chuxing, it's biggest competitor, in a $35 billion deal. Uber is now one of the biggest stakeholders in Didi with a 17.7% stake. While on the surface this is a great move in monetary terms (Uber made 3x the amount they spent in China), it's a playa move if you really look into the facts. Ola can effectively be obliterated by this deal. How? Read. In other news, Walmart and JD.com (China’s largest e-commerce company by revenue) announced a strategic alliance to serve consumers. This will prove to be pivotal for Walmart seeing as the Chinese Government never lets foreign companies win any market it considers vital to its economy. When the 1st internet wave came along, 4 gentlemen met at the Oracle HQ, California. Larry Ellison(CEO) and 3 key employees: Evan Goldberg, Zach Nelson, and Marc Benioff. Goldberg told Ellison he wanted to build an internet version of a CRM software. Everyone loved the idea and Ellison funded Goldberg to build it. Zach Nelson became the CEO of this new company and they called it Netsuite. All was well. 2 weeks after this meeting Marc Benioff called the others and told them he was doing the CRM idea as well. Guess what he called it? SALESFORCE! Obviously the 2 companies became fierce competitors. Last week, Oracle agreed to buy Netsuite for $9.3 Billion and Ellison pocketed ~$3.4 Billion. Last week was an exciting time for us. 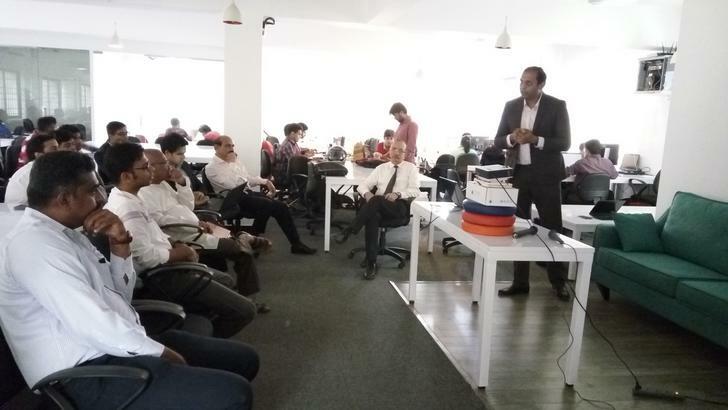 While we were hosting Branch Metrics and RBL Bank to gain insights into deep linking and Startup funding, one of our teams was trending on Product Hunt. Octo.ai is effectively middleware that allows all web/mobile companies to store all their analytics data and yet continue to operate in their normal way. The folks at Product Hunt loved it. What do you think? Let me know what you think of this newsletter on Twitter.